You've got a golden chance to make your way! Tickets are now on sale for the national tour of Roald Dahl's Charlie and the Chocolate Factory in Boston. The traveling production of this sweet new musical will open January 8 at the Boston Opera House and run through January 20, 2019. Willy Wonka is opening his marvelous and mysterious chocolate factory…to a lucky few. That includes Charlie Bucket, whose bland life is about to sweeten with color and confection beyond his wildest dreams. He and four other golden ticket winners will embark on a mesmerizing joyride through a world of pure imagination. Now’s your chance to experience the wonders of Wonka like never before—get ready for Oompa-Loompas, incredible inventions, the great glass elevator and more, more, more at this everlasting showstopper! It’s the perfect recipe for a delectable treat: songs from the original film, including “Pure Imagination,” “The Candy Man” and “I’ve Got a Golden Ticket,” alongside a toe-tapping and ear-tickling new score from the songwriters of Hairspray. The touring cast of Charlie and the Chocolate Factory features Noah Weisberg as Willy Wonka, young actors Henry Boshart, Collin Jeffery, and Rueby Wood as Charlie Bucket, James Young as Grandpa Joe, Amanda Rose as Mrs. Bucket, Jessica Cohen as Veruca Salt, Madeleine Doherty as Mrs. Teavee, Kathy Fitzgerald as Mrs. Gloop, Nathaniel Hackmann as Mr. Salt, Daniel Quadrino as Mike Teavee, David Samuel as Mr. Beauregarde, Brynn Williams as Violet Beauregarde and Matt Wood as Augustus Gloop. 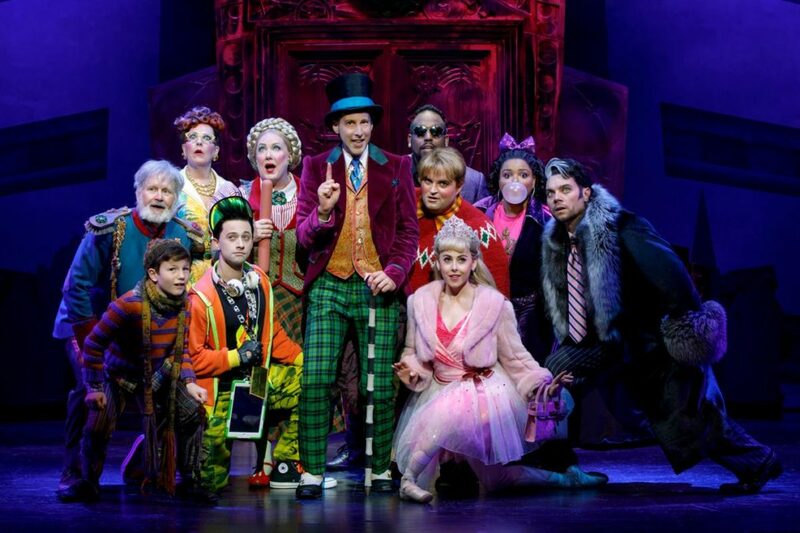 Based on Roald Dahl’s treasured tale, Charlie and the Chocolate Factory features direction by Tony winner Jack O'Brien, a book by David Greig, a score by Tony winners Marc Shaiman and Scott Wittman and choreography by Tony nominee Joshua Bergasse. Don’t miss your chance to see this delicious musical; buy your tickets today!